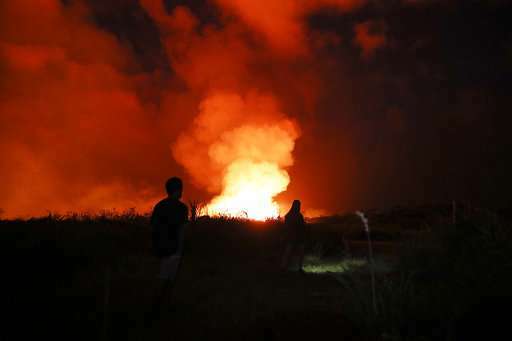 The eruption of Kilauea volcano in Hawaii sparked new safety warnings about toxic gas on the Big Island's southern coastline after lava began flowing into the ocean and setting off a chemical reaction. 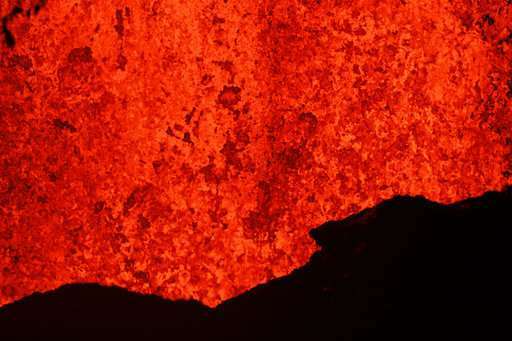 The molten rock started pouring into the sea over the weekend. It's been generating plumes of lava haze or "laze" as it interacts with seawater. 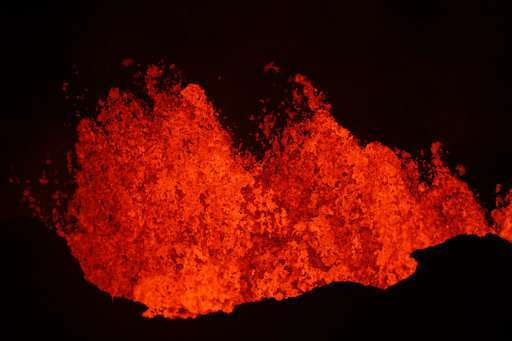 It's just the latest hazard from a weeks-old eruption that has so far generated earthquakes and featured gushing molten rock, giant ash plumes and sulfur dioxide. 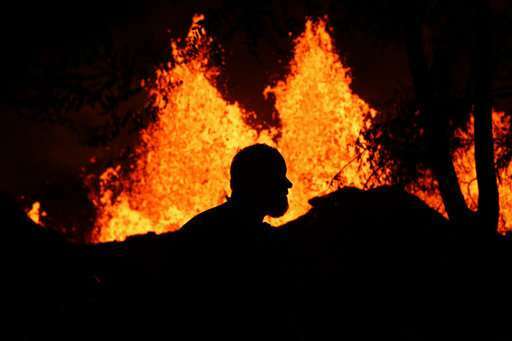 The eruption has destroyed more than 40 buildings forced more than 2,000 people to evacuate. 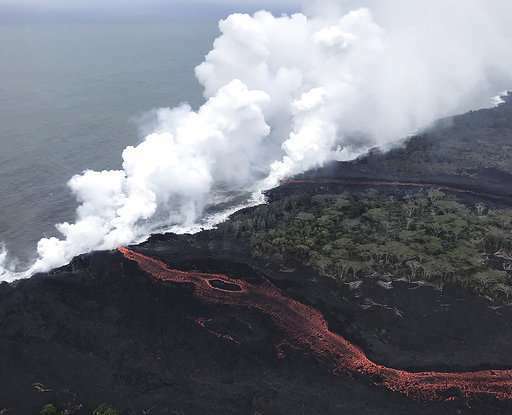 There has been continuous low-level ash emission from Kilauea's summit with larger explosions every few hours, said U.S. Geological Survey geophysicist Mike Poland. Two small eruptions happened late Monday afternoon and early Tuesday morning, producing ash clouds that did not reach the 10,000-foot (3,048-meter) level. 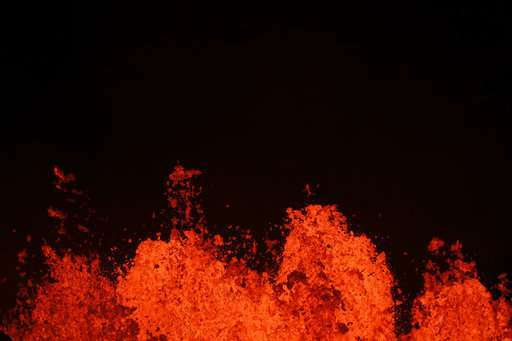 On Monday, lava entered and then stalled on the property of a geothermal plant near one of Kilauea's new volcanic vents. Officials earlier this month removed 50,000 gallons (190,000 liters) of stored flammable gas from the plant to reduce the chance of explosions. It is made of dense white clouds of steam, toxic gas and tiny shards of volcanic glass. 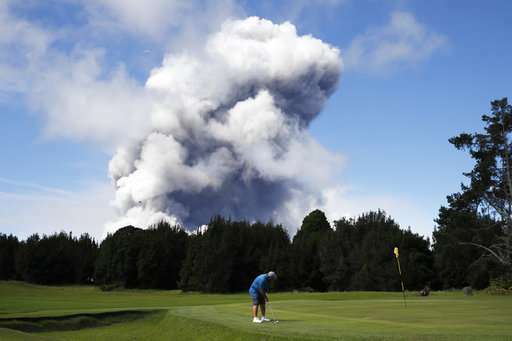 Janet Babb, a geologist with the Hawaiian Volcano Observatory, says the plume "looks innocuous, but it's not." "Just like if you drop a glass on your kitchen floor, there's some large pieces and there are some very, very tiny pieces," Babb said. "These little tiny pieces are the ones that can get wafted up in that steam plume." Scientists call the glass Limu O Pele, or Pele's seaweed, named after the Hawaiian goddess of volcano and fire. 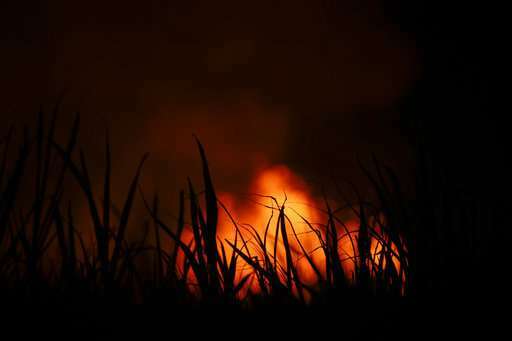 Methane explosions could be a problem as lava flows into areas with a lot of vegetation. 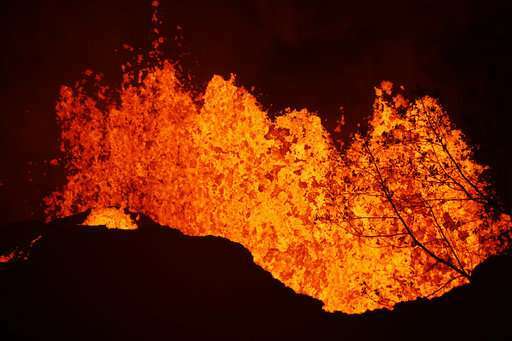 Babb said that is because decaying vegetation creates pockets of methane, which the lava's heat can ignite.